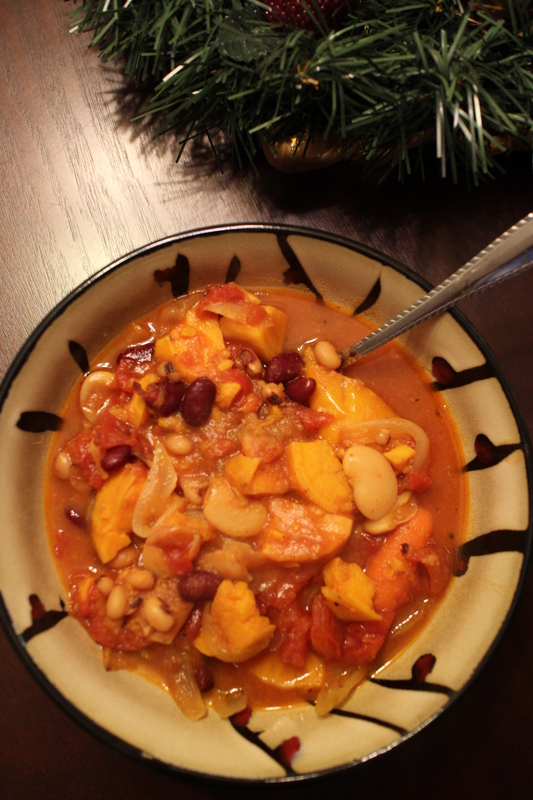 Recipe: Hearty Roasted Vegetable Soup | Finding delight. With the days turning to darkness at such a rapid rate, I’ve been gravitating towards cozy meals. You know the type. Colorful, warming dishes that pack a hearty punch. A dinner gobbled up out of a single bowl clutched to your chest as you curl up in front of your latest Netflix programming. 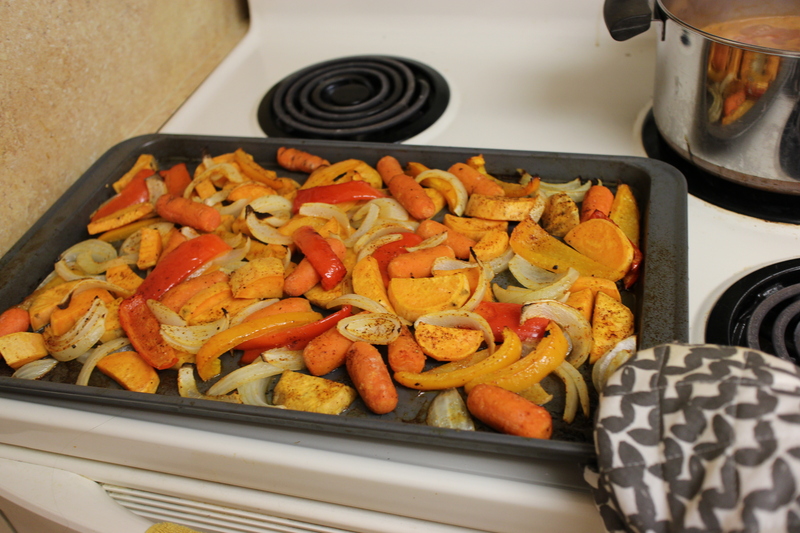 I love the flavor of roasted veggies in the winter-time. (I also love how they smell while they’re roasting in the oven. Yum!) But I’ve never thought to throw a whole batch of the lil buggers in a soup pot! *light bulb* So, I roasted up some of my favorite vegetables and while they did their thing in the oven, I got to work on the rest of the soup. To up the “heartiness” factor I included a whole bunch of beans. And tied everything together with a tomato-based broth. 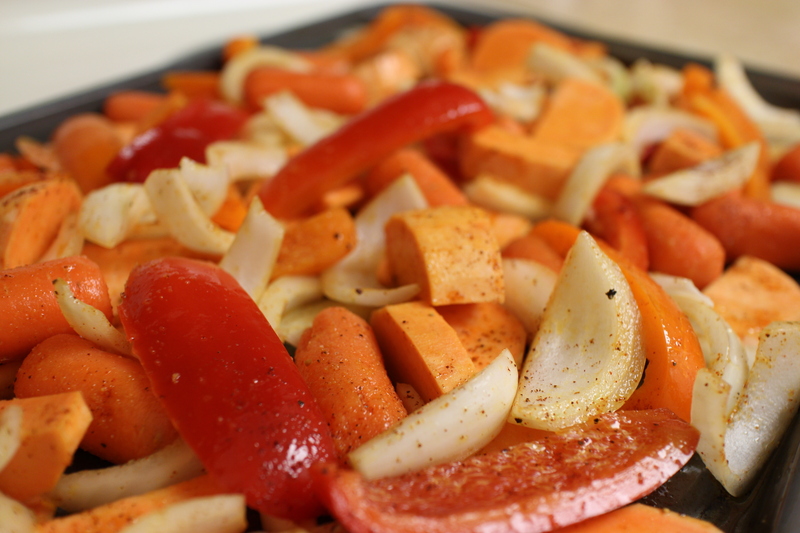 – Pre-heat your oven to 390 degrees F (or whatever temperature you find works best to roast veg in your particular oven). – Peel the sweet potatoes, chop them into large chunks, and spread them out on your baking tray or roasting dish. – Add in your carrots. – Add minced garlic to taste. – Drizzle olive oil over everything and sprinkle on salt, pepper, paprika, and chili powder. – Toss everything up with your hands. – Put the whole kit and kaboodle in the oven for about 30 minutes. 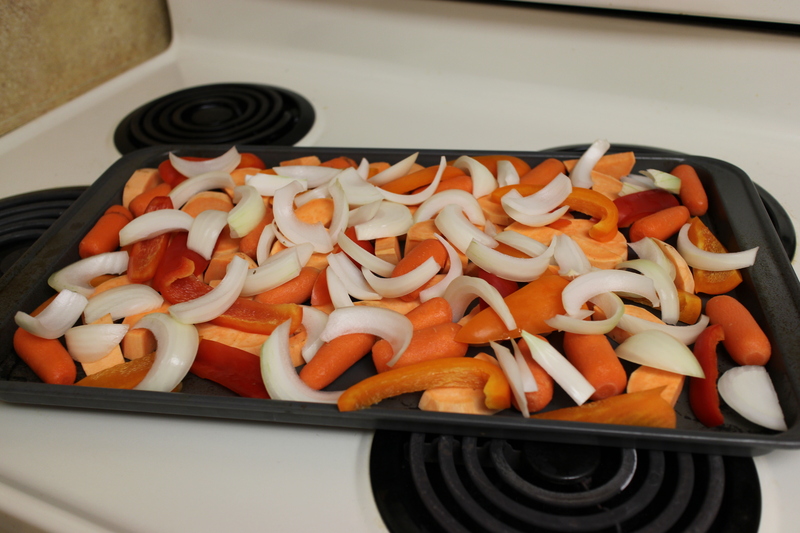 – While these are roasting you can turn to the base of the soup. 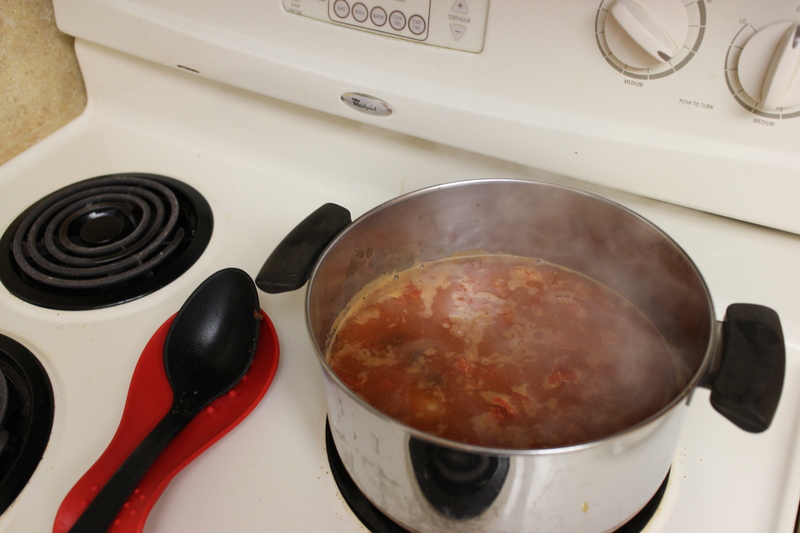 – While you’re waiting for your water to boil for the vegetable stock, grab a large soup pot and add your cans of tomatoes and beans. For the beans you can use whatever type you like. 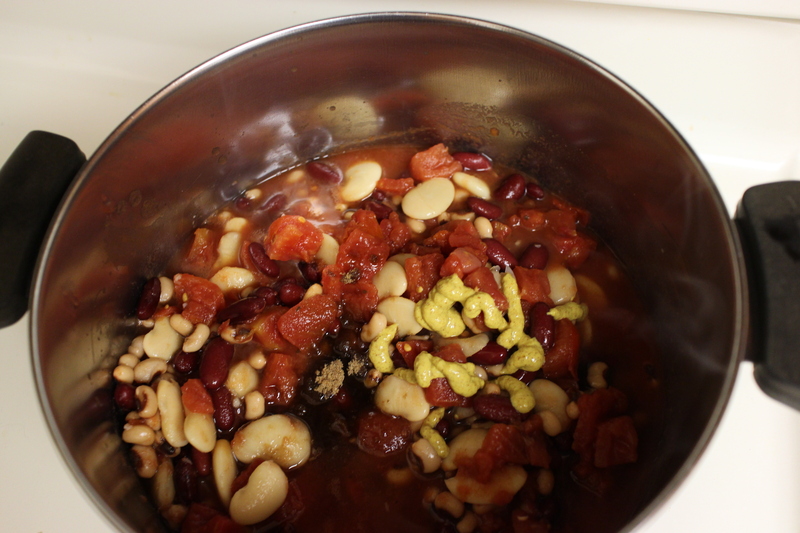 I put a can of blackeyed peas, kidney beans, and butter beans in a strainer. After mixing and rinsing them, I scooped out about 3 cups into the pot. The rest of the bean mixture I put in a Tupperware to store for a later meal. 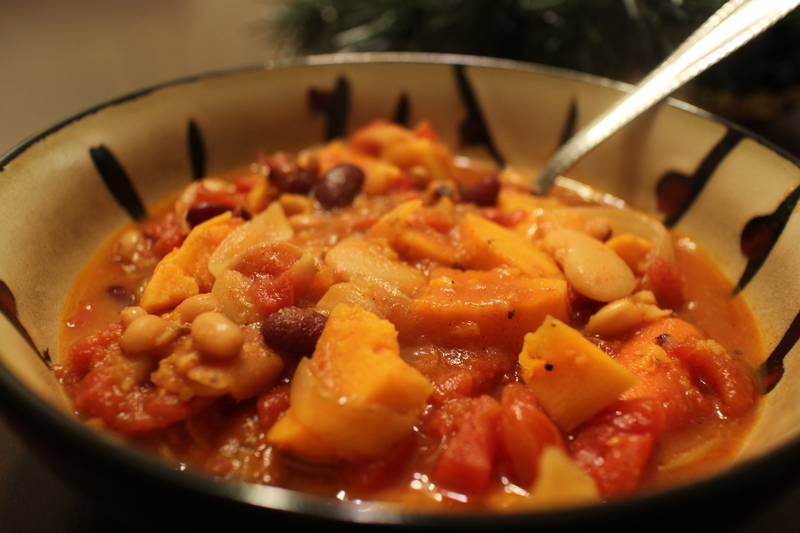 – Bring your tomatoes and beans to a boil and then reduce the heat to simmer. Then add in 1 Tbsp of brown sugar, a dash of Worcestershire sauce, a squeeze of mustard, and salt and pepper. Give it a good stir. 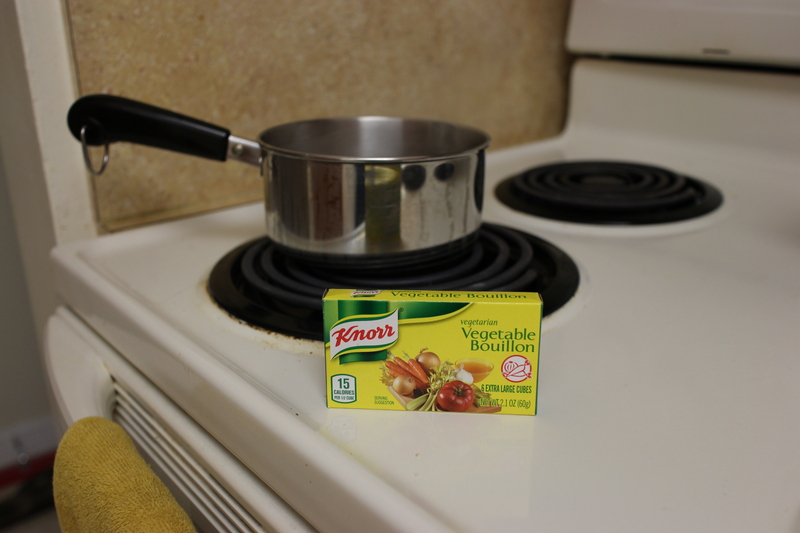 – Your vegetable stock should now be ready so pour that in too! 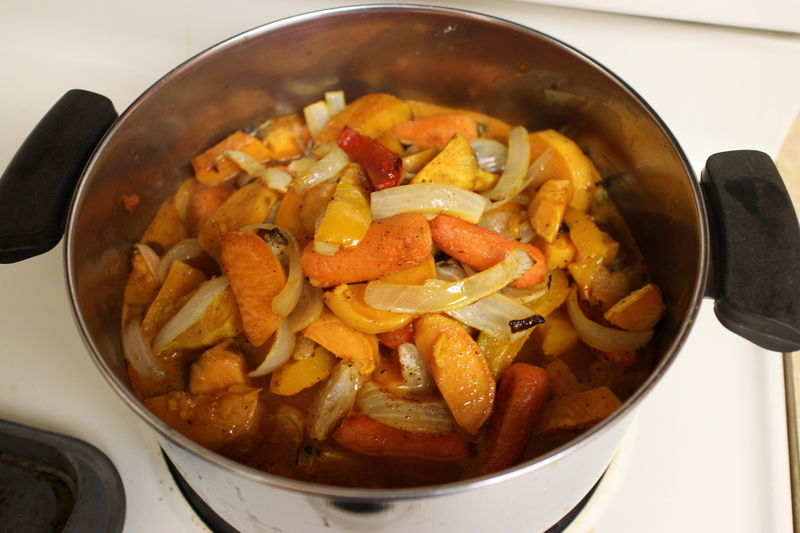 Let everything simmer away until your timer goes off for those delicious roasted veggies. – …and put them in the soup pot! 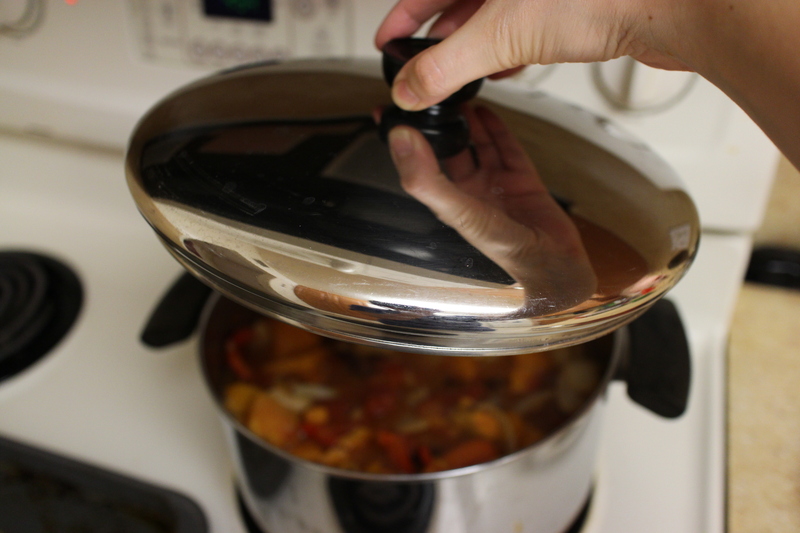 – Give everything a generous stir, then pop the lid on and let everything hang out together for at least 5 minutes but longer if you want those sweet potatoes to get falling-apart decadent! – I left mine on the lowest stove-top setting for about 30 minutes. I no doubt would have gotten impatient and served it up sooner but Chet was stuck in traffic. If you have the time, cook it longer! It turned out perfect and the vegetables were divine. – Serve it up in a big bowl and go for it! We had ours with some multi-grain bread (perfect for dunking) but cornbread or biscuits would also be yummy. Enjoy! What do you make for dinner on dark December nights? Do you like cozy, comfort food? Would you give this recipe a try? I want to eat it again and again!!! Mmmmm lentil and barley soup, yum! I think you’ll love this soup, too. I’m gonna go check out some of your recipes over on your blog now. Thanks for stopping by!